Those of you that have yards that do not have irrigation are lucky! Those of you that do will know it by its more commonly used name: Irritation! Why irritation? Well when the irrigation system works well it’s easy, when it doesn’t, it’s more often than not very difficult to diagnose or locate problems. The fact that most of the system is underground represents the biggest problem and consequently it’s where most of the issues occur. 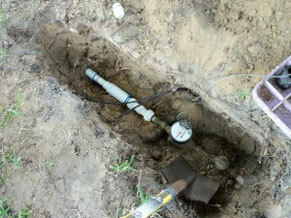 Problems can occur with any of the above parts in an irrigation system. On top of all that, we always have to bear in mind the watering restrictions that are imposed by water companies that vary from county to county. Click For Tips on Irrigation System Care.